My name is Daisy Griffin and I am 17 years old. I was diagnosed with childhood migraines at age 5, and by the time I was in 8th grade, they had become chronic migraines. I was lucky because both of my parents have migraine and immediately recognized what was going on and were able to get me help. At first, I thought I was completely normal and all of the other kids my age also struggled with frequent pain that would force them to go into dark rooms and make them vomit continuously. Then I began to realize that I seemed to be the only one. My friends didn't understand why I would suddenly be unable to function; I felt like everyone was whispering and laughing behind my back every time I had to leave class to take medicine. Even with my parents' support, I felt lonely and misunderstood. It wasn't until much later that I found out that childhood migraine is actually pretty common. About 10% of school-age children suffer from migraine, and half of all migraine sufferers have their first attack before the age of 12. By the time I was a teenager, I realized that even some of my closest friends also struggled with migraine. 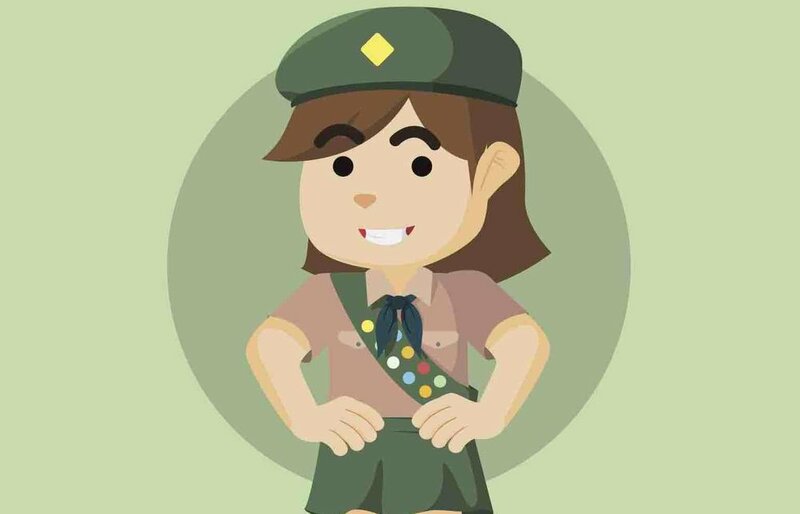 I am a Girl Scout, and I choose to make the focus of my Girl Scout Gold Award addressing the lack of awareness surrounding childhood migraine and the lack of support for kids with migraine. I decided to do this because I don't want other kids to feel how I did- I want them to know that they are not alone, that there are lots of other kids going through the same thing. I also want to help kids that aren't as lucky as I was to have parents that recognized that I had migraines. If parents and school nurses are more informed about the symptoms of childhood migraines, they could help kids get diagnosed and get help sooner. The Gold Award is the highest achievement within the Girl Scouts of the USA. It focuses on leadership, career exploration, challenge for personal growth, and community action.